In this psychologically astute novel set in the boisterous South Yorkshire mining town of Dinlock, Davie, a young miner, paints to ease the mental and physical pain of digging coal, on his knees, two thousand feet underground. Sigal creates through Davie a microcosmic portrait of this backbreaking work, performed by men dedicated to social change. In close detail, Sigal illustrates their daily routines and surprising complexity—from the mines to the pub and back home. 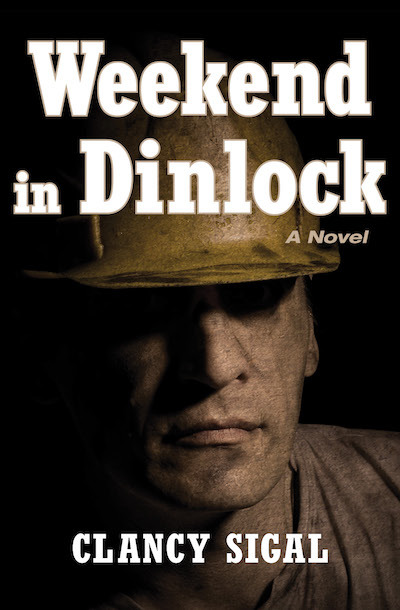 Weekend in Dinlock offers an immersive account of the brutal work these miners endure and their life-affirming, sometimes violent ways of relaxing. This intensely realistic account recalls George Orwell and is illuminated by Sigal’s ability to convey working-class wit and a sympathetic yet brutalizing milieu, placing the reader in the mind and soul of the coal miner.